Dress Shoes for Overpronation: Which Style to Pick to Avoid this Condition? People who have been running long enough might have dealt with various pains in the lower back, hips, knees, and feet. Although there are many factors that can cause these conditions, improper use of shoes can contribute to their development. Improper biomechanics of the body plays a detrimental role in developing serious conditions. Since your feet are among the most used and exhausted parts of your body every day, they are prone to pains and fatigue. One of the possible results of excessive walking and running is overpronation. This condition is not serious and life-threatening, but it is very important to understand this problem so you will know how to deal with it. Before we discuss how to avoid this condition, let us first find out what is overpronation and how it is developed. Overpronation is a condition where feet continue to roll inward when they should be pushing off forward. It usually occurs in individuals with fallen arches and flat feet. This foot condition often leads to shin splints and ankle pain. Overpronation is one of the most common postural problems that people develop as they grow old. From having weak legs to wearing unsupportive shoes, there are a variety of factors that cause the soft foot tissue structure to lose joints and later make the foot bones to shift. Pronation abnormalities may also increase the risk of having injuries during workouts and sports activities because pronation affects how we run and stand. It also serves a purpose in our body weight distribution when we are moving. To treat severe cases of overpronation, people usually seek help from physical therapists. In cases where therapy is necessary, licensed professionals evaluate the person’s pronation problems and create customized therapy programs based on their findings. Although, overpronation is not as alarming as other types of health conditions, resolving this issue is essential because our feet are the parts of our body that absorb shock during movement. How do you know if you’re an overpronator? To determine if you are an overpronator, do the following tests below. 1. Look at the bottom of your shoes. If you notice excessive wear at the inner edge of your soles, you have pronation problems. People with this type of condition may notice that the inner sides of their shoes have excessive wear and tear. This is because instead of being straight, the feet of overpronators are flat and continue to roll inward. 2. Get your feet wet and step on a brown grocery bag. If you see your feet are outlined when you put your entire weight on your feet, then you are an overpronator. 3. Take a pair of shoes that you have been wearing for months, put them on a flat surface. If you see that the heels are tilt in, you have pronation problems. The heels are tilt in because you’re wearing the shoes more on their inner side. You might probably be wondering how overpronation is developed. Look at the list below to find out what are the causes of pronation abnormalities. Individuals who are suffering from overpronation may experience the symptoms below. If you have pronation problems, it is important that you pay attention to buying the right shoe to make sure your foot condition will not get worse. There’s a wide variety of dress shoes for pronation. Those shoes are specially designed for people with pronation problems so buying a right pair will tremendously help you lessen the pain caused by pronation abnormalities. Also, the shoes are made to provide additional support to make it easier for overpronators to walk and move. Wearing a wrong pair of shoes will cause discomfort to overpronators. Luckily for them, there are lots of shoes available on the market. People can buy elegant and classy shoes without compromising comfort. They no longer need to worry about buying stylish shoes that may worsen their foot condition because footwear products for overpronators are made with two important purposes — to fulfill the people’s need for fashionable footwear and to provide them shoes that can support their arches and added comfort to their ankles in every step. So whether you’re looking for an elegant pair of soles for your corporate meeting or stylish dress shoes for overpronation, you can easily find shoes in the market. There are a lot of good shoe brands on the market that are not only stylish and durable; they are also very affordable. Caring for your feet is as important as caring for your other body parts. Since our feet are the most overused parts of our bodies, they are often exposed to various types of injuries. This is the reason why buying protective footwear is necessary regardless of your work or activities. Choosing good quality shoes not only helps to make your feet safe from hazard exposure, but it will also help protect your feet from possible dangers caused by inferior poor quality choices of footwear. To avoid overpronation, always make sure that you wear shoes with firm heels and good arch support system. You should also wear the right shoes for the right situation. The market has a wide variety of shoe selections available, so you won’t find it difficult to find a pair for your specific needs. 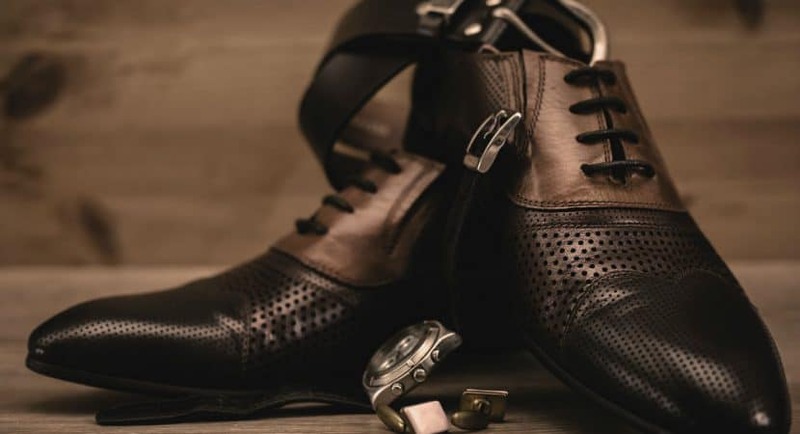 There are soft yet sturdy shoes for athletes, comfortable yet firm footwear for busy executives, and stylish yet durable dress shoes for special occasions. The market has a lot to offer to you if you’re looking to buy footwear for foot injuries or even dress shoes for overpronation. Just always make sure the next time you look for your next pair, you purchase something that can help keep your feet healthy.